Kathe Kramer Chase has three decades of New York City centric commercial real estate experience and has played major roles in world renowned projects such as Chelsea Market, the Historic Falchi and Factory Buildings and now Industry City. Kathe received her undergraduate degree, with a concentration in business, from Northwestern University. After graduating, she held roles at Yale Robins and later Time Equities. Kathe worked with developer Irwin Cohen after leaving Time Equities to assist in the renovation and leasing of 2mm square feet in Long Island City, and later in the purchase, redevelopment, and lease-up of what is now known as Chelsea Market. 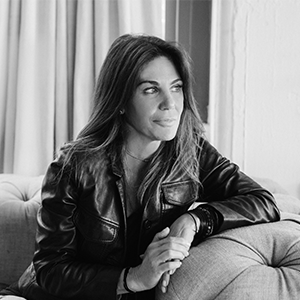 As an integral part of the Chelsea Market team, Kathe helped shape the identity of the Meat Packing District as an international destination and in 2014 joined the partnership’s newest project, Industry City, as the Director of Leasing. Over the course of her career Kathe has been on the forefront of real estate trends, pioneering concepts of landlord and tenant partnerships that distinguish her in the industry, leasing millions of square feet of commercial real estate in New York City, valued in the hundreds of millions of dollars.